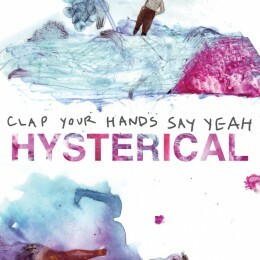 Clap Your Hands Say Yeah are largely known for their self-titled album. Don’t worry – your favorite indie rockers are back with Hysterical and there is nothing funny about this album. Only a good indie time to be found on this third attempt by the band. Perhaps the strongest song on the album is the title track. It is a good Brittish-inspired romp filled with electronic inspirations. The lyrics in the song get a bit muddled but don’t get in the way enjoying the song. “Maniac” is another strong track, featuring a horn section and pounding drums. Lyrics like “find the new stars in the sky… I miss the way you stare at me/as if I was a memory” turn the fun track into a bouncy love song. “Yesterday, Never” is also a lot of fun and makes it blatantly obvious that the album’s strongest feature are the drums from Sean Greenhalgh. Every track is heightened by his work, leaving a memorable imprint on the album. Maniac from CYHSY on Vimeo.